Here at A-Rated Home Improvements, we provide quality glazing throughout South Wales. We are based less than 60 miles away from Chepstow so regularly carry out installations in the area. From Bulwark to Bayfield, we have a wealth of knowledge about Chepstow and the different types of properties it has. 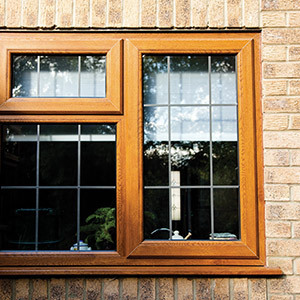 We offer a range of efficient uPVC and aluminium windows as well as conservatories and orangeries. We are quickly becoming the leading glazing installer in South Wales and offer consistent quality for all our customers. Situated on the England and Wales border, Chepstow is a popular town for commuters to Newport, Cardiff and Bristol. The Severn Bridge, built in 1966, helped the town develop as it became easier than ever to reach Bristol and beyond. The town, nestled in the picturesque Wye Valley, is overlooked by the impressive Chepstow Castle. This is recognised as the oldest surviving stone castle in Britain and is a popular tourist attraction. Chepstow has a wide range of properties, old and new. From Georgian family homes on the outskirts to new apartments in the stunning Severn Quay development. We are likely to have completed some work near you. Whether you live in a cottage in Mounton village or a town house in the centre; we can find the right solution for your home. Every product supplied by us is ‘A’ rated as standard; giving you excellent thermal insulation and comfort. To give you complete peace of mind, all of our products are approved by the police initiative ‘Secured by Design’. We take care of our customers and provide competitive pricing to make sure you are always getting a fair deal.